With the Sun in Leo trine the centaur planet Pholus in Sagittarius today, even the tiniest spark has the potential to burn brightly for a good while to come. So choose carefully the flames you fan. While it’s true that Pholus is often associated with a small cause leading to an unwanted (and far-reaching) negative effect, who says you can’t harness that power to serve the highest good? Today’s Birthdays: Agneta Horn (1629-1672), Margaret Murie (1902-2003), Herman Berlinski (1910-2001), Amelia Boynton Robinson (1911-2015), Klara Dan von Veumann (1911-1963), Shelley Winters (1920-2006), Luc Montagnier (1932), Gail Fisher (1935-2000), Robert Redford (1936), Paula Danziger (1944-2004), Patrick Swayze (1952-2009), Marvin Isley (1953-2010), Umberto Guidoni (1954), Denis Leary (1957), Madeleine Stowe (1958), Edward Norton (1969), Malcolm-Jamal Warner (1970), Nicole Krauss (1974), Andy Samberg (1978). 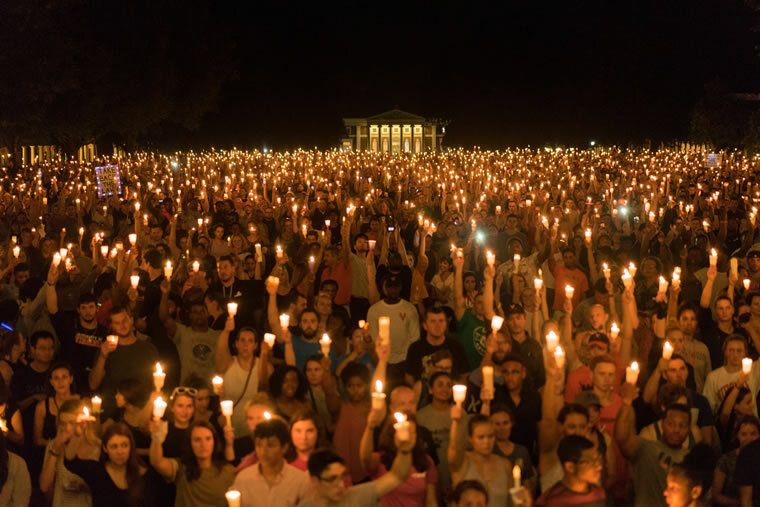 Thousands of people gathered on the Charlottesville campus of the University of Virginia on Aug. 16 for a peaceful candlelight vigil in response to last weekend’s violence. Photo by Jason Lappa. It’s tempting, in times of pain, chaos and transformation, to think there are no opportunities for you to participate, or feel like life is so insane that nothing matters, and besides, the world is ending anyway. Plenty of people are caught in the meme that nothing makes a difference, especially them. I know it can seem that way. We’re moving at the compressed speed of events between eclipses, and our minds are warped into the light-speed movement of electric communication that delivers the latest crisis to our purse or pocket in mere seconds. Everything is accelerated, magnified and thrown into a mash-up with everything else streaming across your news feed and beleaguered brain. Tiki Torch Social Club impersonating Nazis, or Klansmen, or something, in Charlottesville over the weekend. Photo by Alejandro Alvarez/News2Share. It’s easy to imagine there’s no place for you in the world at this time, or that there’s no use trying. You might be so disgusted, shocked or scared, that you cannot figure out what to do. I’m here with another idea. But first, let’s review the recent past. Just think, last week at this time, I was writing to you about the not-so-real threat of nuclear war with North Korea. Remember that? Trump’s threat of hellfire and brimstone, and all the angles of the “announcement” chart going into the mutable signs, saying the whole thing was insubstantial? Remember the Nuclear Axis chart? And Kim Jong-un and The Donald, throwing adolescent tantrums as people in Seoul and Tokyo wondered if they were in the line of fire? That was just seven days ago; I know that’s a long time, and it’s hard to remember so far back in ancient history. 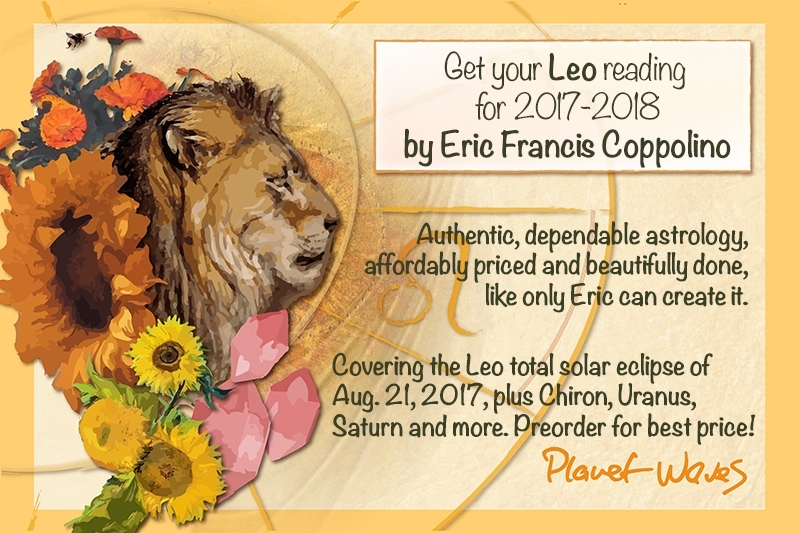 Moon Sign: Moon is in Cancer and enters Leo on Aug. 19 at 10:54 am PDT / 1:54 pm EDT (17:54:31 UTC). Mors-Somnus stations retrograde at 4:27 pm PDT / 7:27 pm EDT (23:27:37 UTC). — Mars square Ceto at 2:12 am PDT / 5:12 am EDT (09:12:37 UTC). — Sun trine Pholus at 7:55 pm PDT / 10:55 pm EDT (02:54:47 Aug. 19 UTC). 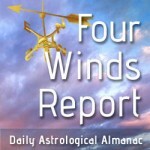 — Venus trine Borasisi at 8:56 pm PDT / 11:56 pm EDT (03:56:00 Aug. 19 UTC). Do what so few people do in these times, which is feed your inner life. There’s a world within you that’s not visible or accessible anyplace else. You might think it’s lonely in there, though when you open up to your inner world, you’ll find that you are closer to people than you’ve ever been. There will be what feels like a moment of free-fall; then your parachute will open. With the Sun in Leo trine the centaur planet Pholus in Sagittarius today, even the tiniest spark has the potential to burn brightly for a good while to come. So choose carefully the flames you fan. While it’s true that Pholus is often associated with a small cause leading to an unwanted (and far-reaching) negative effect, who says you can’t harness that power to serve the highest good? This is about more than simply having good intentions; everyone knows where those can lead. It’s about striking the match of ethical compassion, generosity and creativity. 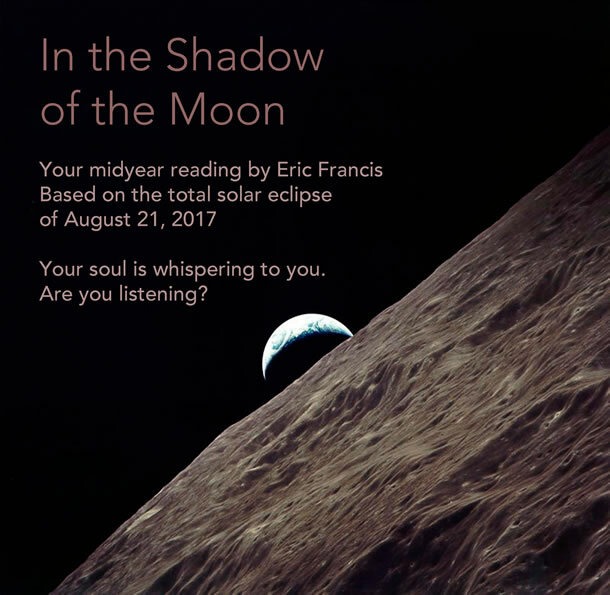 Or, even more simply: since we’re approaching a major eclipse, it’s about doing even a little of what brings you true joy, and letting it continue to light your soul going forward.